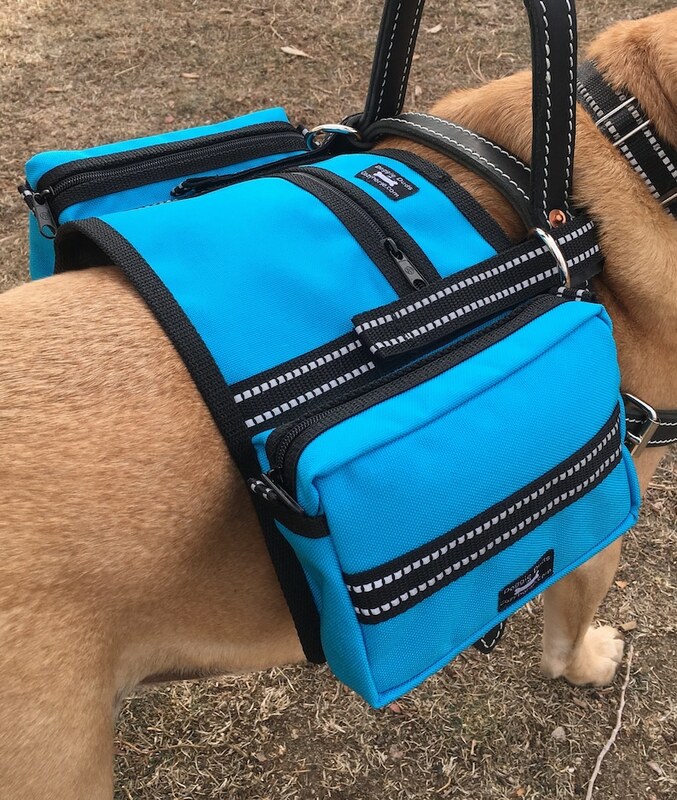 This listing is for a saddlebags that attach to Service Dog or other type of harnesses. A HARNESS IS NOT INCLUDED. A harness is only shown in some of the pictures to convey how this product works. These saddlebags attach to a harness with two straps that have industrial strength velcro plus a grippy material that helps hold them in place on different harnesses. This model vest fits almost any harness. Shown on my Hilason Guide harness and my Activedogs Guide harness and with a CozyHorse conversion strap but will also work on a Freedom harness and many others that are similar in style! This style also works great with your average nylon harness. The vest has deep saddlebag type pockets on each side, a zippered center pocket, and highly reflective stripes. An adjustable elastic belly strap with a quick release buckle keeps the sides of the vest from flapping. Straps for attaching to harness are set approx. 7" apart but are long and offer lots of wiggle room! Size: 7" front to back x 17" side to side. Belly strap adjusts from 28" - 36" before stretching. IF YOUR HARNESS HAS D RINGS and you would like this made with the shorter straps for attaching please let a message in note to seller. If you have any questions about this product please ask. Great product and the color is absolutely beautiful! Shipping was within stated time frame.